HARARE – Focus has now shifted to the Constitutional Court (Con-Court) where the full bench of learned judges shall preside over an MDC Alliance petition, challenging the outcome of the July 30 presidential election. 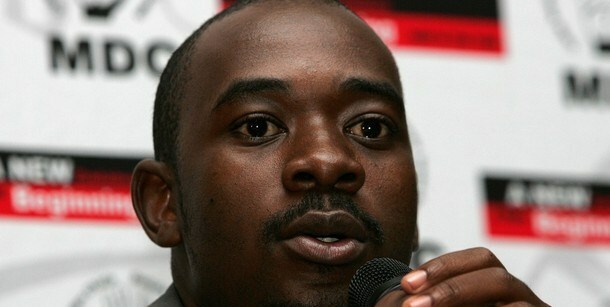 The MDC Alliance has been frothing at the mouth before, during and after the polls, stating in no uncertain terms that the electoral playing field was not level — and justifiably so. But by participating in a flawed electoral process, the party might have shot itself in the foot although this may not right what is patently wrong. 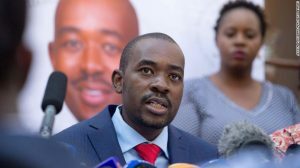 Significantly, the MDC Alliance is claiming that the presidential poll was rigged in favour of its main rivals, which thrusts the burden of proof on its shoulders if the Con-Court is to grant the relief sought. It is grossly unfair and unfortunate that the whole nation is now placing its hopes on the Con-Court to end what is essentially a political problem. Regrettably, the judgment — no matter how competent and just it would be — will not end the crisis before us. The history to what has gotten Zimbabwe to this perilous state is well-documented. It has its roots in an unjust political system inherited from the former colonial masters and perfected by former president Robert Mugabe in order to retain power at all cost, damn the consequences. It’s a system that thrived through capturing key State institutions and making them serve at the pleasure of the ruling elite. It legitimised its existence through obnoxious laws it deliberately crafted — using its majority in Parliament and the notorious whip system — hence the argument that it is the spirit of the law that must be considered in resolving the crisis. Dissent — real or perceived — was ruthlessly pulverised, with the Gukurahundi massacres, Operation Murambatsvina and the political killings of 2008 being among the excesses that continue to stick out like a sore thumb. Zimbabwe has now reached a stage whereby public confidence in State institutions — including the judiciary — has hit rock bottom. The economy is in turmoil. No matter how the court will rule in the next 14 days, the judgment will not deal with the elephant in the room — our warped politics. On Monday, President-elect Emmerson Mnangagwa called on his fellow countrymen to put the election period behind them and “embrace the future to achieve the Zimbabwe we all want”. The most important thing is to put in place confidence-building measures and creating a just and equitable society, free from the nauseating “this is our thing (chinhu chedu)” mentality.